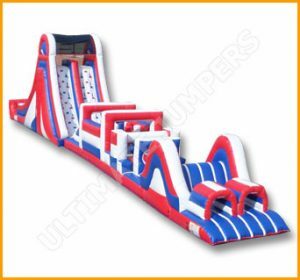 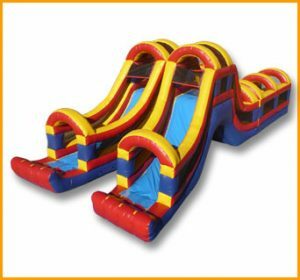 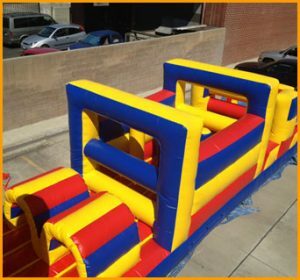 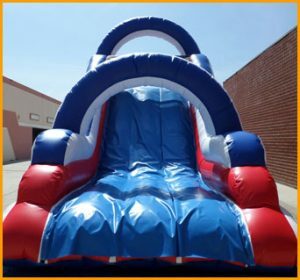 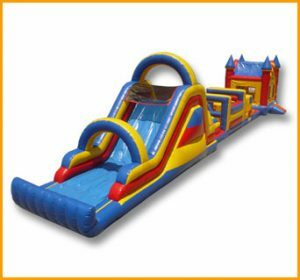 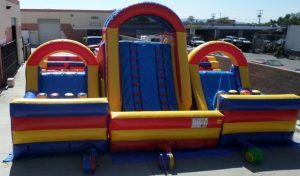 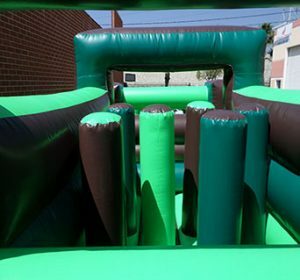 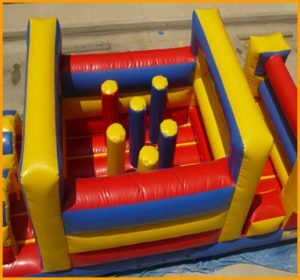 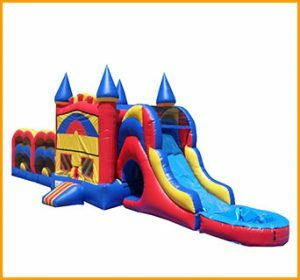 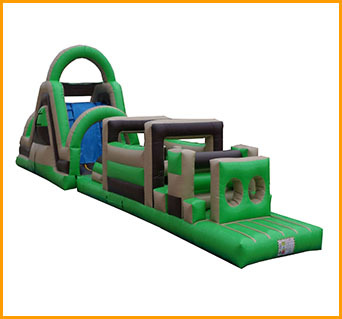 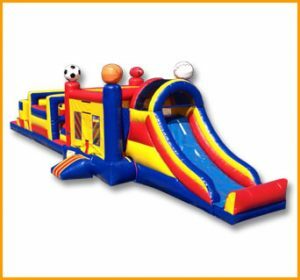 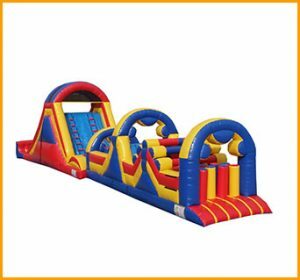 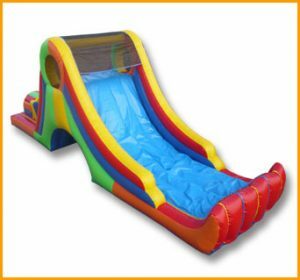 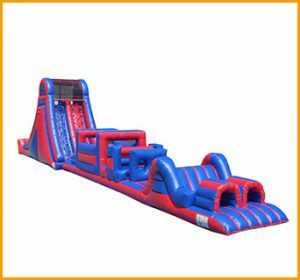 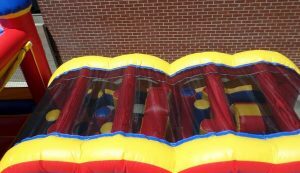 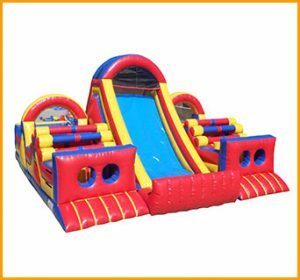 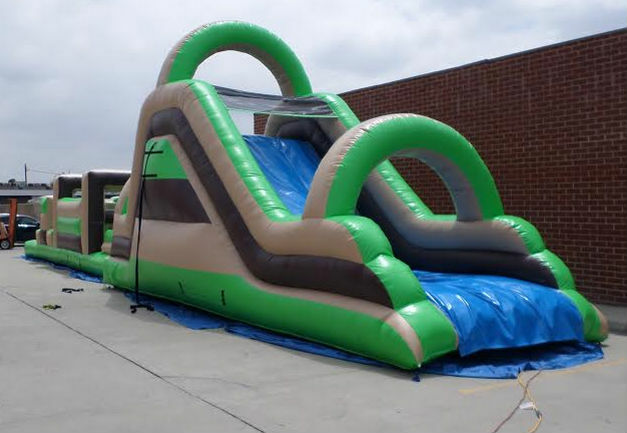 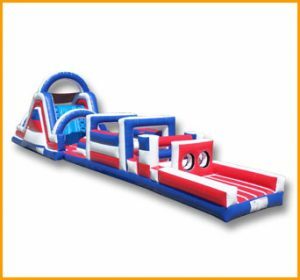 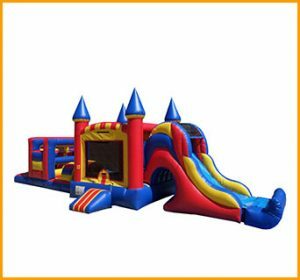 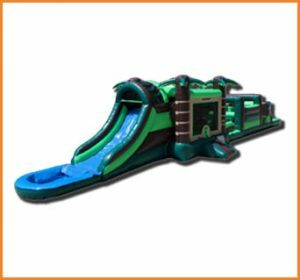 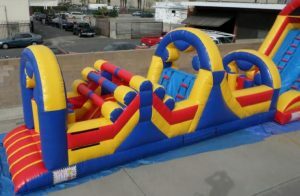 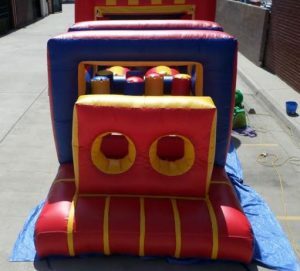 Non stop action is what this 64′ inflatable obstacle course is all about. 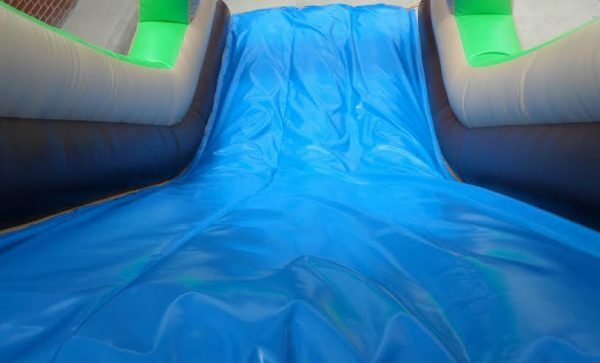 There is an enormous amount of fun involved, guaranteeing laughter and giggles for hours. 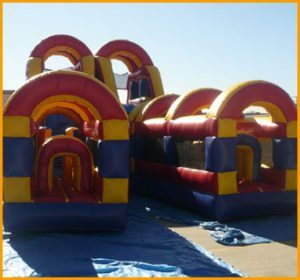 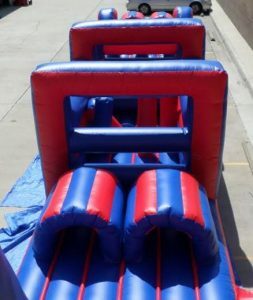 Kids will be able to compete against each other throughout the obstacle course. 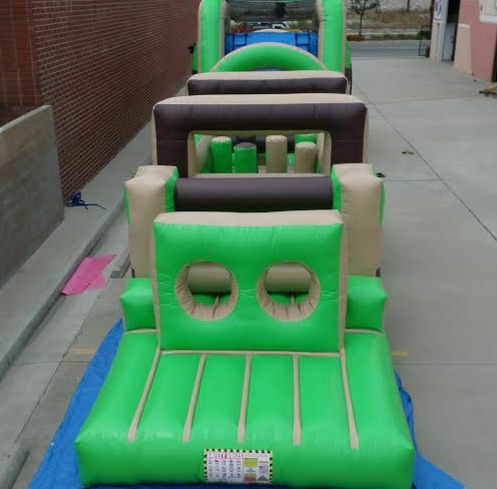 They can hop up the climber and slide down, two at a time, trying to out beat each other’s speed. 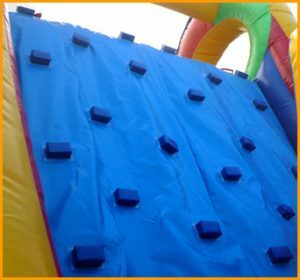 Maneuvering through the obstacle course is so much fun, it raises energy levels and all attendees need to work really hard to get to the opposite end. 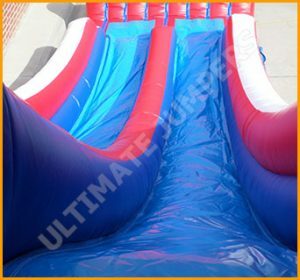 Color changes are available and can be discussed with any sales associate.